An invitation that appeared Monday morning on the website of famous Parisian concept store Colette suggests that Apple may show off its new smart watch during Fashion Week in Paris at an event set to run between 11:00 a.m. and 7:00 p.m. local time on Tuesday. The invitation's circular pattern closely aligns with the "universe"-style user interface on the Apple Watch. 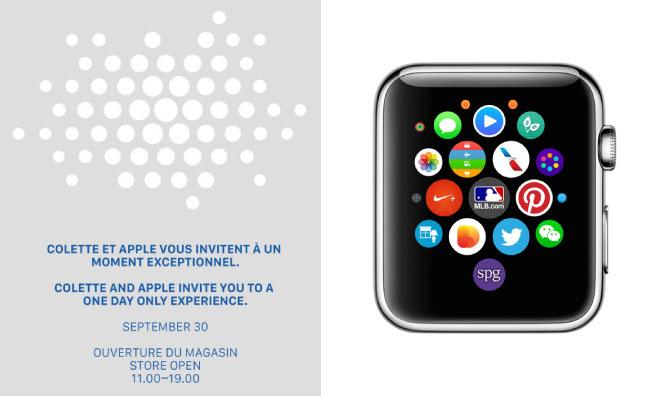 "Colette and Apple invite you to a one day only experience," the invitation reads. It was first discovered by French blog Mac Generation, which also noted the similarity between the invitation's circular pattern and the user interface design of the Apple Watch. Colette is a famous name in French fashion circles, and its 8,000 square foot concept store on Rue Saint-Honoré is one of Paris's most trendy boutiques. Tuesday's event comes in the middle of the annual ready-to-wear shows in the French capital. Though it remains unknown whether the event is specifically related to the Apple Watch, it seems likely that that is the case. In an earlier post on his own website, well-known horological blogger Ariel Adams hinted that Apple could be considering offering the Apple Watch for sale in high-end department stores and boutiques, such as Colette. Apple representatives are said to have told Adams that expanding distribution beyond Apple Stores and existing technology retailers is "an interesting idea." 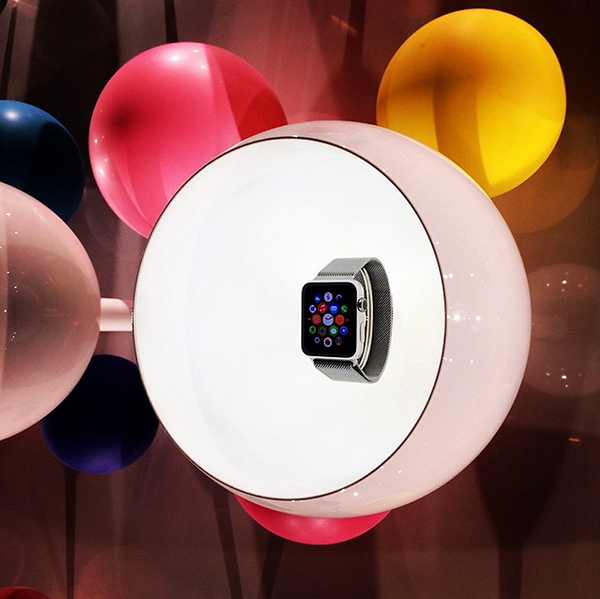 Update: According to multiple eyewitness accounts, the Apple Watch is now on display at Colette.